The Club’s global claims team is organised into regional departments which are dedicated to specific jurisdictions or vessel types. This ensures the claims team has specialist knowledge of jurisdictions which enables us to better advise Members of the strategy to adopt when facing claims in that particular jurisdiction, as well as helping to identify any claims trends of which our Members need to be aware. As always, this knowledge is tailored to focus on smaller and specialist craft that has been the bedrock of the Club’s business since its creation. 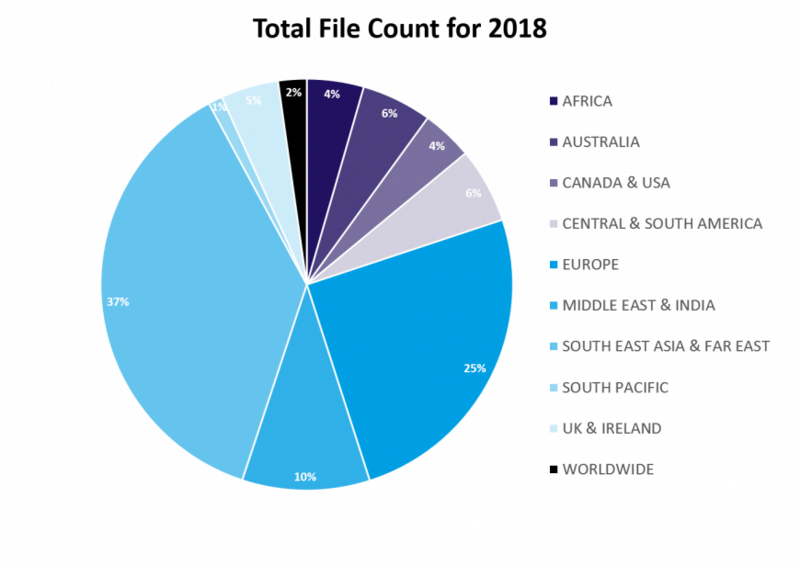 During 2018, the Club handled claims in a total of 143 different countries reflecting our broad range of experience and the wide trading areas in which our membership operates. As the breakdown demonstrates, the areas where we experience the highest volume of claims are Europe and South East Asia/the Far East. This reflects the Club’s continued strong presence in these areas, both of which are supported by dedicated claims teams. Particular examples of jurisdictional successes include obtaining the first judgment issued by the onshore courts in the UAE confirming our Members’ right to limit their liability under the Limitation of Liability Convention 1976 and handling the first French crew claim following the Constitutional Counsel’s decision in 2011 to extend employee rights to seafarers beyond the benefits under the social security scheme known as ENIM. The claims teams also produce dedicated guidance to assist Members operating in specific jurisdictions. The recently released Latin America (LATAM) Jurisdiction Guide provides an overview of common issues arising from the laws and regulations which govern shipping operations in Latin America. The guide exemplifies both an understanding and commitment to this region.